Choosing a domain name can be a daunting, tiring task for those of you trying to set up an online presence for your brand. What name to choose? Is it easily remembered? What if the domain name that I want is unavailable? 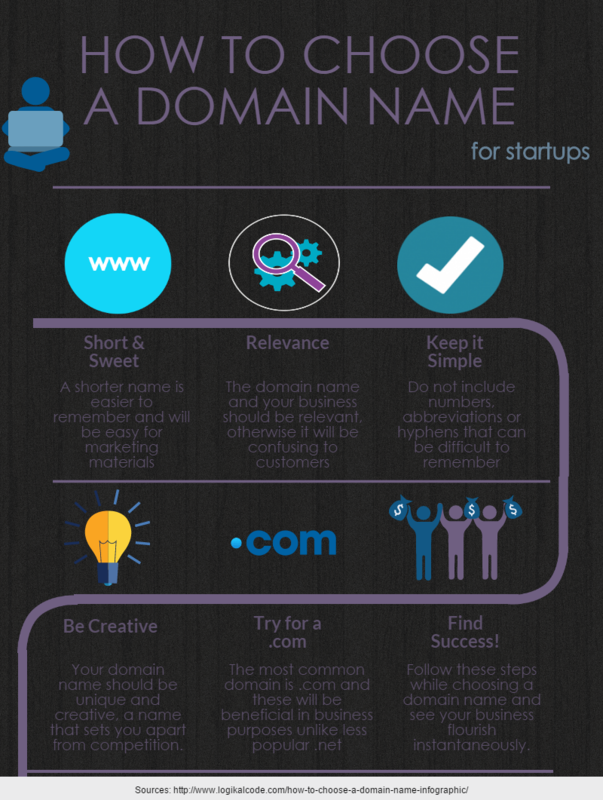 Here are a few simple tips in an infographic on how to choose a domain name. If a .COM is unavailable, fret not, there are TONS of creative new TLDs cropping up! You might even find it a better fit for your brand. Examples of new TLDs are .CRICKET, .SCIENCE, .PHOTOGRAPHY, .PARTY, .DATING, .SHOES, .MEDIA & many more! You can check out the new gLTD list here! Follow these simple steps & you’re all set! Got more tips? Share it with us in the comments section below!